Why join the Fredericton Yacht Club? 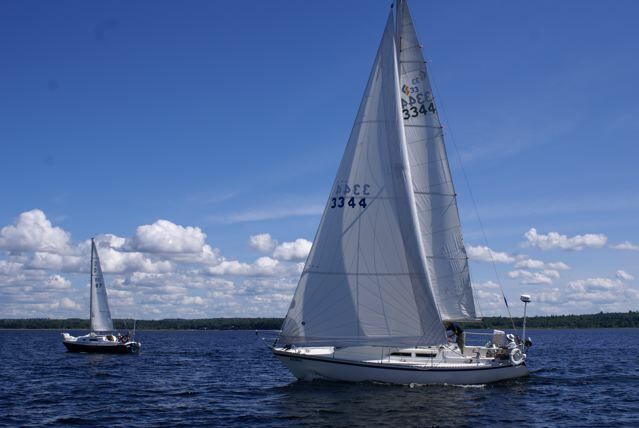 The FYC is the perfect home port for sailboat and powerboat owners in the greater Fredericton area. We have facilities conveniently located in both the Fredericton core as well as in Douglas Harbour, Grand Lake. Our members are friendly and helpful. Our costs are reasonable and our facilities are functional. Since we are a member run club, we encourage you to be active in shaping the direction of the club. Have a great idea for the club? We want to hear it! Joining the FYC is as easy as completing the Application Form and Acknowledgement Form , an easy approval process, and a quick orientation meet-up. We welcome any boat, power or sail, below 45′ in length. Our facility isn’t setup for larger boats. Membership is subject to board approval. Have more questions? Contact us. We will be happy to answer any of your questions.